Ceramic Crowns typically are the most cosmetic and natural in appearance due to their life-like translucency and shading. They have gained popularity in recent years as strength and resilience have improved immensely. This highly esthetic material can be often be used for bridges dependent upon the occlusion. 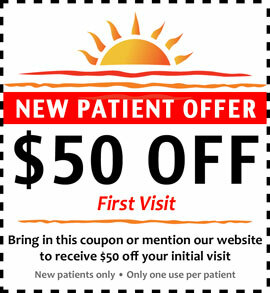 They often exceed patient expectations, especially where cosmetics are concerned. 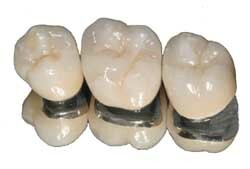 Porcelain fused to metal crowns have historically been the material of choice for crowns and bridges. These are very esthetic as the porcelain is a very life-like glossy material known for its extreme hardness. The porcelain is baked to a metal substructure (which contains gold or a similar noble metal). A series of connected crowns (which replace one or more missing teeth) is known as a bridge. 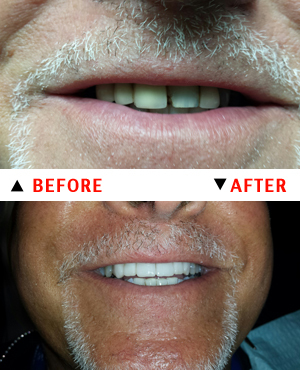 Porcelain Veneers are a conservative (minimal tooth preparation) means of achieving a highly cosmetic permanent result. Typically used on the “front” teeth, these thin custom facings are constructed to adhere to the enamel surface to create an ideal esthetic look. 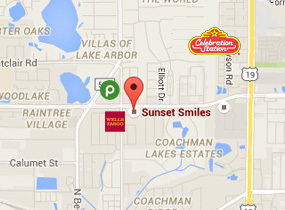 They can close gaps, widen and/or elongate teeth, and improve the tooth color dramatically. Gold restorations have stood the test in dentistry since ancient times. Rarely is an allergy to gold reported in the literature. 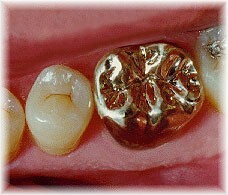 When the patient’s bite is a concern (e.g., a grinding habit), gold is the material of choice for the chewing surface of a crown. Both white and yellow gold can be used in crowns. Due to the high cost of materials, these restorations are not as commonly used but are definitely available to our patients. 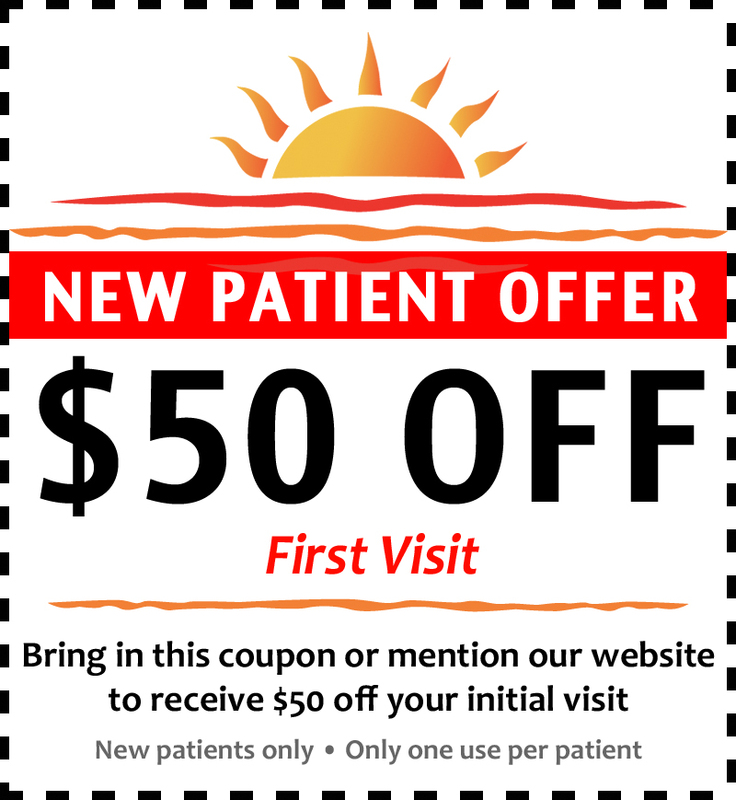 With all of the above, the patient wears a provisional (temporary) until the permanent restoration is ready.